I remember how fun it was to take part in all the games when I was a Beaver, and later on a Cub. 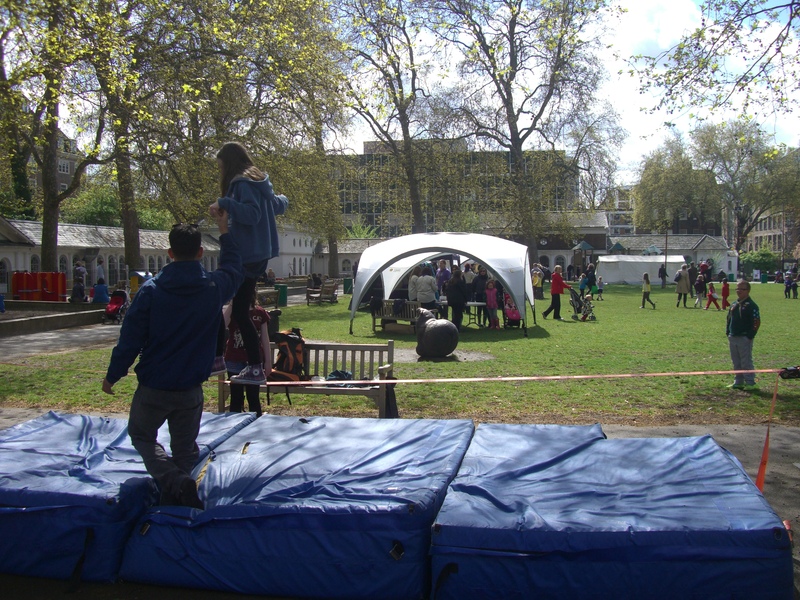 Needless to say all the up and coming slacklining stars of the future were just as excited to find two slacklines to play on, for the 8th Holborn Scout Group Community Day! The weather held out, allowing us to rig 2 lines, one with big, juicy crash mats underneath! We had a constant stream of kids all day, and a couple of stars who really learnt fast! It was great being surrounded by such energy and enthusiasm for something new. I’d had a hard week, but somehow the kids’ smiles and laughter gave me a boost. Maverick Team Rider and friend Jake White helped me out for the day, assisting with the newbies and encouraging them to try to walk the line on their own. 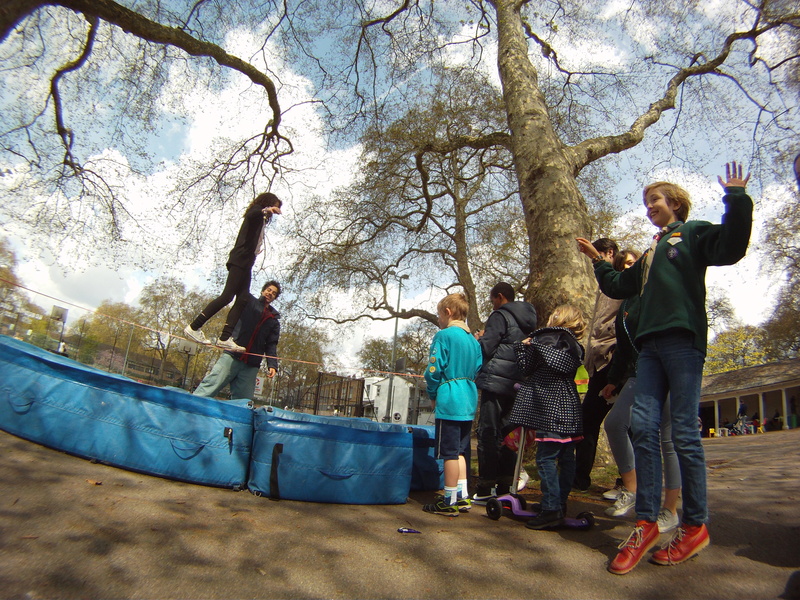 Thanks 8th Holborn Scout Group for a great day, Maverick Slacklines for providing the lines and Jake for helping me out. Harry Cloudfoot is a Slackline Instructor based in London. 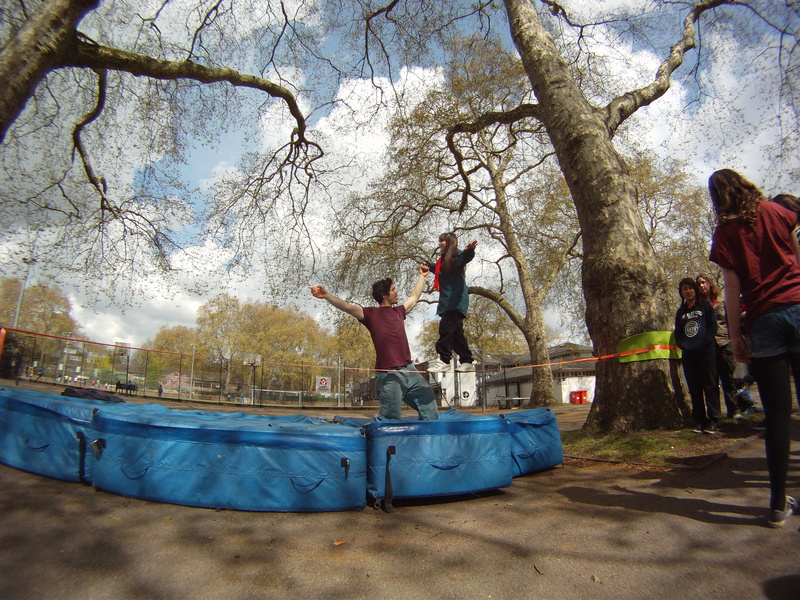 If you would like slacklining at your event, or you’re interested in learning, contact Harry here. 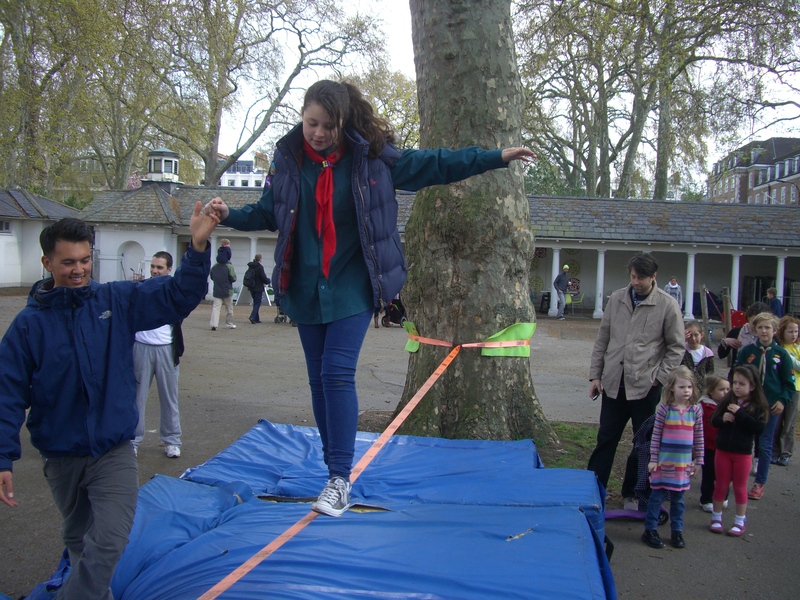 This entry was posted in Events, Slacklining and tagged 8th Holborn Scouts Group, Camden, Coram's Fields, coram's park, harry cloudfoot, Jake Paul White, learn to slackline, maverick slacklines, scouts, slackline classes london, slacklining events, slackLondon, UK Scouting Association by harrycloudfoot. Bookmark the permalink.